Six teams comprising the world’s leading architecture firms will present their ideas for the Southbank by Beulah development at the ‘Future Cities’ symposium later this month. The six international firms who have been selected to compete in a design competition, for a landmark “mixed-use” tower in Melbourne’s Southbank, will present their ideas later this month at the 'Future Cities' symposium. The symposium will be the first glimpse into the proposed designs for the $2b Southbank site. Comprising of residential, world class retail and department stores, a dedicated gourmet food and market precinct, a 5-star hotel, designated commercial spaces, and culture and public spaces, Southbank will be transformed into a lifestyle precinct. There are even hopes to attract global tech names such as Amazon, Google, Microsoft, Apple and Samsung to create an experiential technology hub. If you’re an architecture fan, you’ll certainly recognise the names of those set to appear at the symposium, such as MAD Architects, MVRDV, OMA, UNStudio, Bjarke Ingels Group and Coop Himmelb(l)au alongside Australian firms, Fender Katsalidis Architects, Architectus, Elenberg Fraser, Woods Bagot, Cox Architecture and Conrad Gargett. The overarching theme of the symposium is ‘Future Cities.’ As the population grows and lifestyles change and evolve, so too does the need for considered development that is designed for current and future generations. "The ambition of this project is big. Australia is going through a lot of change at a rapid pace, and I think the outcome will make Australia a better place," Paul Jones, architect at OMA told WILLIAMS MEDIA. "The way the building will engage in the context will certainly change the way this part of the city is used." 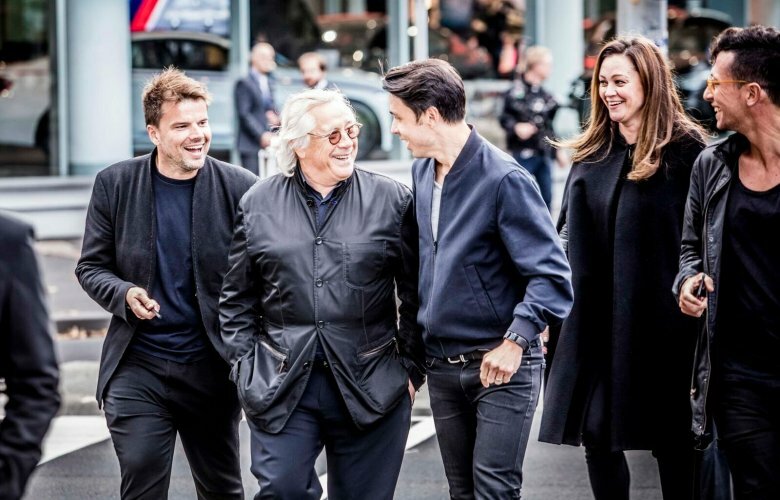 Pictured: From left, Bjarke Ingels (founder BIG), Karl Fender (founding partner of Fender Katsalidis Architects), Brian Yang (Parner BIG), Nicky Drobis (Director of Fender Katsalidis Architects) and Joao Albuquerque (Associate BIG). Image supplied by Greenpoint Media. A focus of the symposium will be discussing how architects, designers and engineers play an ever-important role in being able to shape communities and optimise lifestyles. Focusing on the six designs specific to the Southbank site, the symposium promises to be an engaging and insightful discussion about the project. Each of the six teams will have only 20 minutes to present their concept to the audience, as well as their vision and thoughts on ‘Future Cities’. Earlier in the year, a mid stage interim presentation was held, with each of the six architecture firms flying representatives from across the world to present their initial design concepts. Bjarke Ingels, named by Time Magazine as one of the 100 Most Influential People in 2016, said he has high hopes for the project. Pictured: Yosuke Hayano. Image supplied by Greenpoint Media. “We’re specifically here to look at Southbank and I think the site we’re looking at could really hold the key in solving the urban pedestrian realm of Southbank. Southbank has seen a tremendous amount of development but somehow the urban space, the liveliness of the street, has not at all followed. "There might be a lot of people working there; living there, sleeping there, but they’re not really filling the streets. I think what we can do with this project is really animate Southbank boulevard and mitigate the barrier that City Road really is," he told WILLIAMS MEDIA back in May. 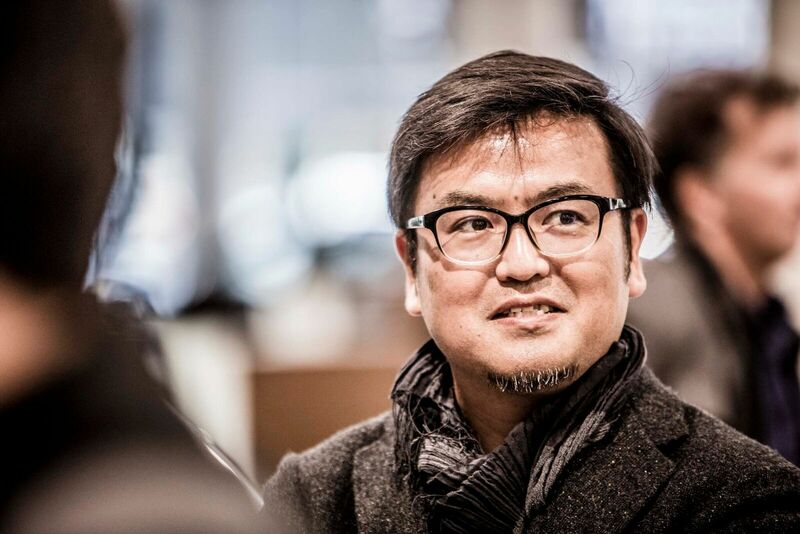 Yosuke Hayano, Principal architect of MAD Architects and Mr. Wolf D Prix of Coop Himmelb(l)au, says he hopes the development will become more than just an iconic space. “We don’t just want to make a landmark or iconic building but make the space for the interaction for the people, that they come here to use. We want to change the meaning of the space, something they can grow up with," he told WILLIAMS MEDIA in May. The winning design will ultimately change Melbourne’s skyline forever, so no pressure guys. After the symposium, the winning design will be announced in August. Beulah International purchased the site in December 2017 for a reported $100 million. Situated on a prominent corner of Southbank Boulevard and City Road the site is currently occupied by a BMW car dealership and is the “last remaining undeveloped parcel” of land in Southbank. The 'Future Cities' symposium will be held on Friday 27th July.